By Dax – Europeans have always been the innovators regarding use of mobile phones, whereas Americans are more into their computers and the internet. But as early adopters, we are leaping behind on the purchases of goods and services via mobile devices against Asian countries (see this wonderful case of Tesco in Korea). Why are we leaping behind? And how far are we leaping behind? Let’s have a further look into the mCommerce sphere in the European Union. The mCommerce process in the EU is taking off since October 2009! 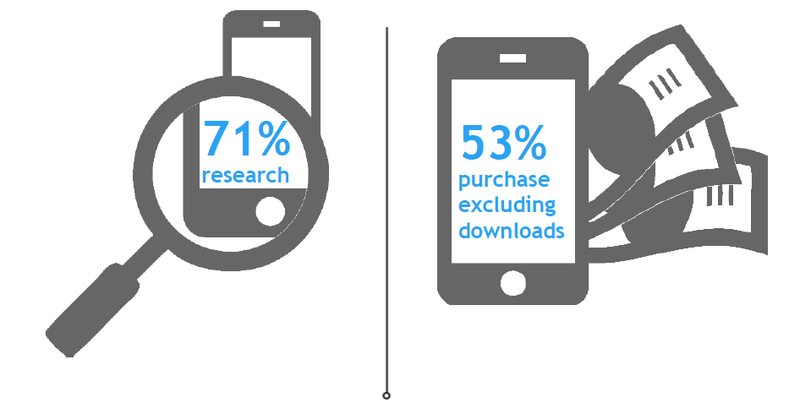 In 71% of the cases, Europeans use their mobile devices for researching online. iPhone users use apps the most for researching while in the purchase process, Tablets are the biggest purchase drivers with an average of 230 Euro amount spend. Android & Blackberry users spend less time online compared to iOS users (iPhone, iPod & iPad). Let’s blame it on the addiction to Apple products? 53% of the European population purchase goods mobile and this is excluding downloads. Especially in the fashion segment, mobile orders are growing, but the most popular purchase of mobile devices are downloads of entertainment goods such as books, music and movies. This shouldn’t be a surprise since the devices are made from the consumption of entertainment. More than half of the European population that purchase on a mobile device do this at least once a month. And they do this 66% at home against 37% at the office. Surprising results, since the added value of mobile internet should be to buy goods while ‘on the road’. Mobile usage on the go seems to be more orientated towards finding stores (31%) or offers such as location based offers (16%), vouchers (19%) and comparing prices (42%). The good old barcode is still more popular than the newly developed QR-code. Cultural differences? Of course. In France, they feel that mobile purchases help them save time and allows them to be more organised. In Sweden, they feel that mobile devices liberate them from the purchase experience they have on a computer. In Germany, they don’t see any difference between buying on a mobile device versus computer. 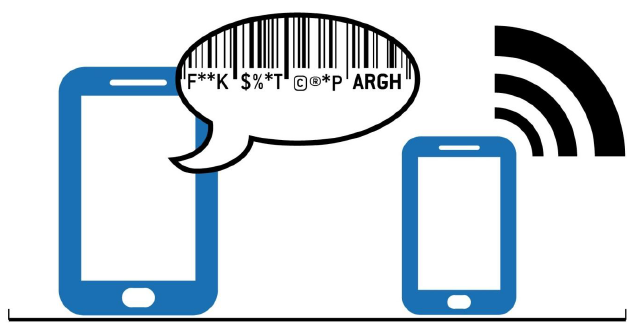 The UK is the most frustrated country when it comes to the customer experience on smartphones, but they love using online vouchers via providers such as VoucherCloud and QuidCo. Frustrations are not only linked to the UK. In the EU, they can especially be found into the mobile payment mechanisms: 42% are deeply interested into mobile wallet services where user pay via their mobile phone to complete a purchase. 36% find the customer experience frustrating, but do it anyway. 59% would love to see websites which are more optimized towards mobile devices. And there lies the explanation of why Europe is leeping behind. Mobile apps and sites should add extra functionality and ease of use in the daily life of people. It should understand the way of life of Europeans better, including our cultural differences. European companies still have lots to learn in the customer experience on mobile devices. Only then, Europe will fully adopt to the mCommerce sphere. ← A referendum on EU membership? Yes, but only after we’ve done the sums!